Dr. Haynes specializes in medical, laser, and surgical treatments for glaucoma as well as cataract and implant surgery. He is a Phi Beta Kappa graduate of Duke University. He graduated from Duke University Medical School where he received the Hewlett-Packard Award for academic achievement. He completed an internship in Internal Medicine at Duke University Medical Center. 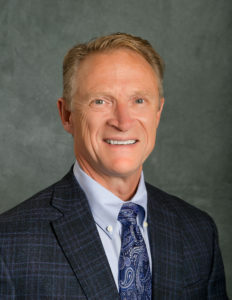 He completed his residency in ophthalmology and a fellowship in glaucoma at the University of Iowa Hospitals and Clinics. Dr. Haynes is Board Certified by the American Board of Ophthalmology. He is a member of the American Glaucoma Society and the American Society of Cataract and Refractive Surgery. Dr. Haynes is an Assistant Consulting Professor of Ophthalmology at Duke University Eye Center and the Asheville VA Medical Center. 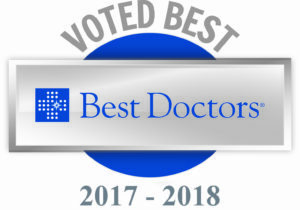 Dr. Haynes has been named among the Top Doctors in America since 2013 by Best Doctors, Inc., a survey of more than 45,000 doctors in the U.S. who anonymously vote for the Top Doctors in America. Dr. Haynes is among only 5% of physicians in America selected for this prestigious honor. Dr. Haynes enjoys running, golf and tennis. He and his wife have three children and have lived in Asheville since 1993. Asheville Eye Named Best Eye Care Specialist!